According to the Environmental Protection Agency, levels of air pollution in a household can be two to five times higher than levels in outdoor air. 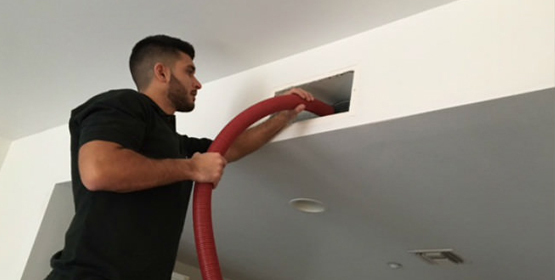 What many homeowners don’t realize is that your air ducts, essentially in constant use, continually accumulate dust, pollen, grime, debris, pet dander and allergens throughout the year. Over time, this constant recirculation of air can cause build-up of contaminants in the air ducts. These contaminants can trigger allergies and asthma, compromising the quality of air that you breathe. When air ducts aren't cleaned periodically, pollution freezes and sticks onto the sides of the ducts, making it very difficult to remove. 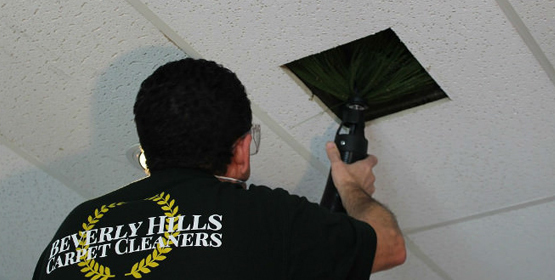 Beverly Hills Carpet Cleaners offers professional air-duct cleaning and sanitation to make your air quality safe again. 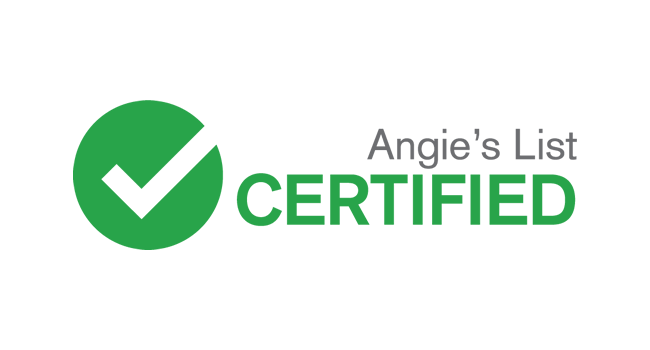 Our advanced cleaning process begins with removal of all your register covers and covering the floor and walls near those areas as they may get dirty. At that point, we agitate and extract all dirt, grime, bacteria, and other contaminants with our state-of-the-art air duct cleaning machine. The vacuum end is attached to a rotating brush that loosens all debris inside of your ducts. This powerful suction equipment essentially vacuums out years of accumulated dust from your air ducts, leaving them clean and clear. After the ducts are spotless and look shiny, we fog them using an EPA-Registered antimicrobial mist that leaves a nice clean scent. Once finished, our technicians remove all equipment and make sure that your ducts and HVAC unit are restored to their former condition.